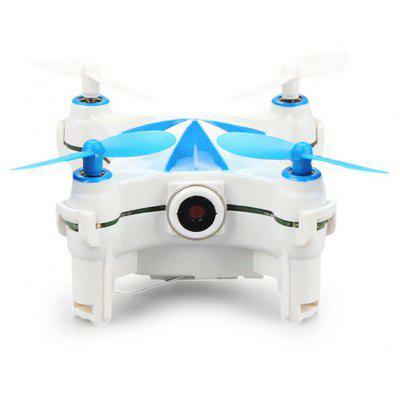 CHEERSON CX - OF incredible pocket selfie drone is sure to stir your passion in the dancing. 15 commands are available on the App, you are allowed to choose a series of them to choreograph a dance effortlessly. Moreover, it has an optical flow sensor at the bottom, which enables it to follow the movement of your palm, making it even more interactive. Moreover, the 0.3MP WiFi camera can carry out a 180-degree rotation to face you whenever you strike a pose and get ready to take a selfie. Want to be notified when the CHEERSON CX - OF Micro RC Pocket Selfie Drone gets even cheaper? Make sure you snag the best price by entering your email below. We'll email you when the price drops, free! We're tracking the price of the CHEERSON CX - OF Micro RC Pocket Selfie Drone every day so you know if that deal is really a steal! Check back for to check the best price for this product - and whether its current sale price is really the cheapest it's been! No CHEERSON CX - OF Micro RC Pocket Selfie Drone coupons found!